Adoption: Is It for My Family? I want a playmate for my birthchild. Put a big donation in the collection plate next Sunday. My infertility is a constant sadness. It hurts terribly. Infertility is devastating, but you must understand that adopting does not cure it. We are quite well off and could give so many things to a child. Write a check to your favorite children’s charity. Our marriage is shaky and a child will bring us back together. Since we can’t have birth children, I guess there is no difference anyway. It’s a start, but you need to get past that notion of second best. We might as well adopt. Neither is better or worse, but adoptive parenting and birthparenting are really the same, aren’t they? I really want to adopt but my husband is ambivalent. He’ll come around once the child is ours. I feel so empty inside. A child will fill up that emptiness. I just want to cry when I think about all those poor homeless children. I think I’ll take one in. No child needs pity. OR, donate to the missions. There’s absolutely no child that I couldn’t love. Ouch! I could show you a few. I am a teacher (or mental health professional or social worker or doctor) and I am a “pro” at dealing with children. Being a child professional is a lot different than being someone’s parent. All these children really need is a lot of love. I used to think that, too. Now I know better. I/We just really like kids and want to add one (or more) to our family. I want to be someone’s parent. I know I have a lot to learn but I want to begin. When you adopt a child, you are creating a family. It is not just a legal matter but one that involves deep emotions. Adoption can be an enriching and fulfilling experience for both parents and child – one that can be highly rewarding but will involve specific challenges. 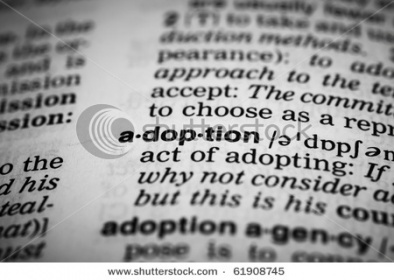 The process of adoption varies, depending on the nationality of the child. These rules may be waived if special circumstances justify the adoption (if the prospective parent and the adopted child are blood relatives, for instance). · The child must be under 21 years old and a Singapore resident. · A foreign-born child may be adopted, but will need to get a Dependant’s Pass from the Ministry of Social and Family Development (MSF). Permanent residents who intend to adopt a child already resident in Singapore or a child from another country will be supported by the Ministry of Social and Family Development, which will be involved and can provide advice and information. Please click on the relevant links below for more information. We hope here in MummySG that your dream of having a family come true, and may your journey towards the adoption process be easy and be fulfilling.